Samsung Bixby Smart Speaker – Can it compete with Apple’s? We know that Samsung is going to launch its Note 9 flagship on 9th of August in New York. However, it seems that Note 9 is not coming alone. The company also seems set to launch another new product on the same stage. And it’s not a tablet. Then what is it, you may be wondering! Well, it’s a speaker. Not an ordinary speaker but a Samsung Bixby smart speaker. But if you happen to hate Bixby altogether, this is how you can disable bixby on Samsung Galaxy S9. We’ve just received an update through Wall Street Journal from citation of some people familiar with the matter, and it’s turning out that Korean giant is looking to launch smart speaker besides Note 9 and Galaxy Tab A2. In fact, the company has been working on it from quite some time. Now that speaker seems ready to see the limelight, so Samsung has reportedly decided to launch it alongside Galaxy Note 9. According to WSJ’s report, the Samsung Bixby Smart speaker has a unique bowled shape with legged bottom and lights on the top. The company plans to market it as a music player instead of a smart speaker, perhaps because of the lackluster response that Bixby has received. Coming towards the feature of this unnamed speaker, WSJ reports that it will come with sound shifting technology, which will allow the speaker to beam its audio in a particular direction (in the direction from where someone is giving voice commands). Samsung plans to make its speaker compete with Apple’s HomePod instead of Amazon Alexa and Google Home, perhaps because of the hard work that’s needed to be done to take on these established virtual assistants. 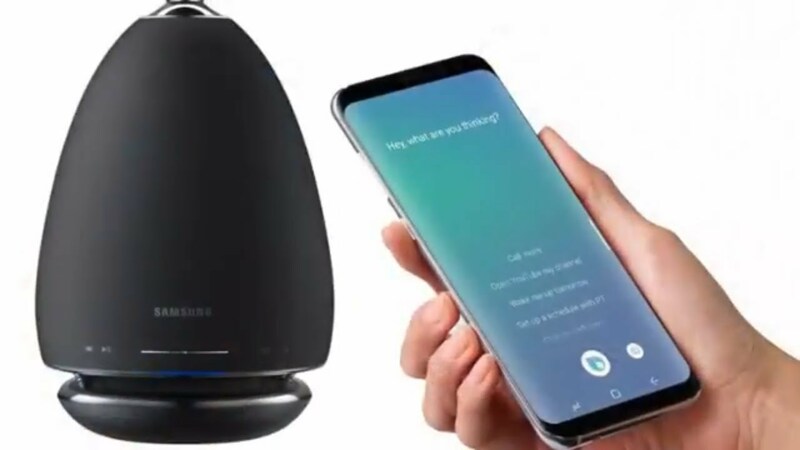 Finally, like other smart speakers Samsung Bixby smart speaker will also focus on management of connected smart devices in the home. Support for Samsung SmartThings Network is obvious to be included so that locks, lights and other similar smart stuff of home can be controlled by the speaker. The price of Samsung Bixby smart speaker is expected to remain around $300, though it’s also rumored that company will launch a cheaper version too with less bells and whistles. It will be interesting to see what this smart speaker looks like and what unique things it offers to company’s fans. For now, however, we know that Samsung needs to work hard on the AI of Bixby to bring it on par with Google Assistant and Alexa.